Start your first day at the Vatican Museums & purchase your tickets online beforehand to beat the queues. Expect to spend about 1-2 hours wandering through each of the rooms, gardens & halls before reaching the climax of the visit, the Sistine Chapel. Next door to the museum is St Peter’s Basilica. It doesn’t matter how many European churches you’ve seen before, nothing can prepare you for the scale and magnificence of this one, the largest in the world. 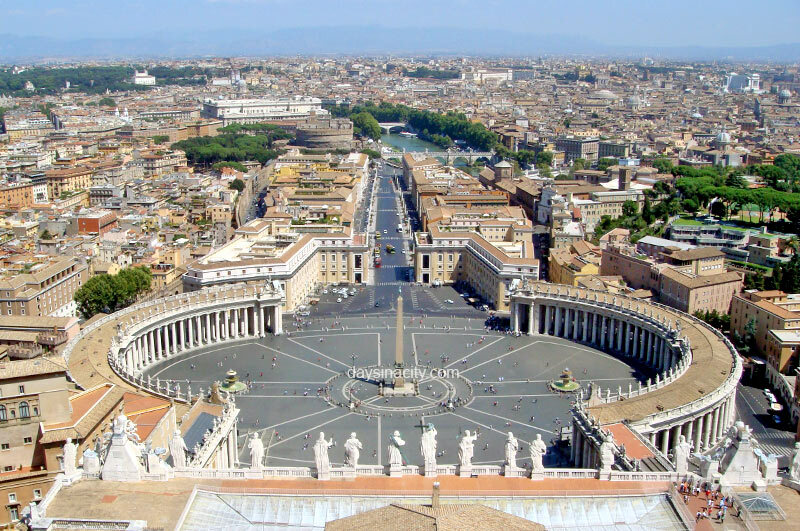 A climb to the Cupola rewards you with fantastic views over St Peter’s square (pictured) and gives you the chance to see more interesting angles of the church (but this is not recommended for claustrophobics, the stairs get very tight and cramped towards the top). 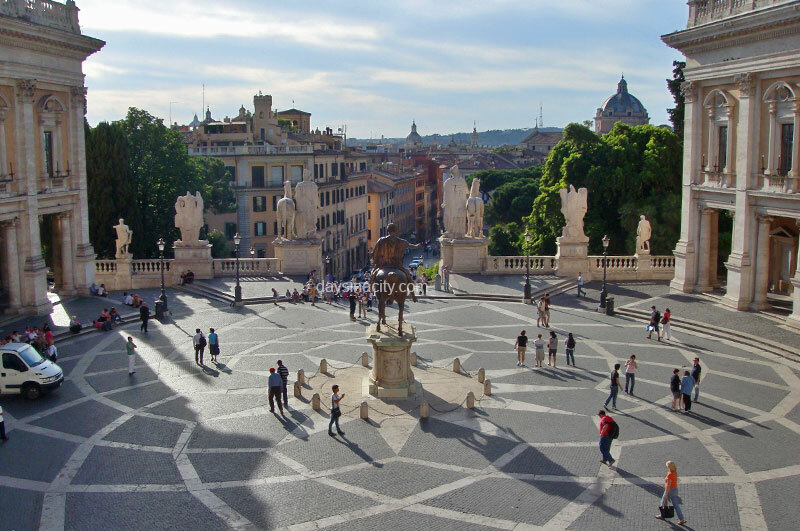 Not a far walk from Vatican City is one of the most famous piazza’s in Rome, Piazza Navona, with it’s art market and picturesque Fountain of Four Rivers. From here, with a map in hand you can meander past many of Rome’s infamous sights, one after the other: Pantheon, Trevi Fountain, Piazza del Spagna & the ‘Spanish Steps’, Piazza del Popolo. Take time to grab a gelato, take your time & enjoy your evening at any of the above places on the walk. Many of these sights are just as spectacular after dark, particularly the Trevi Fountain (another great place to stop for more gelato). 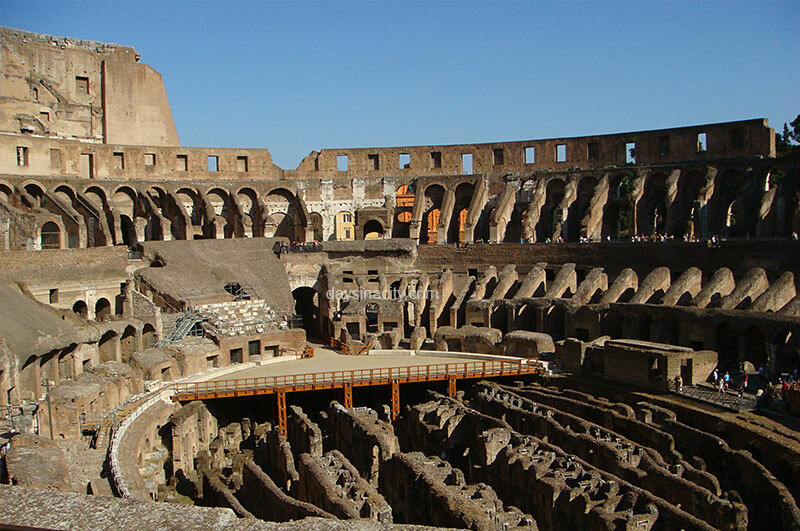 Buy your tickets online to beat the queues at the Colloseum, or if you didn’t plan ahead you can also buy your combined ticket from nearby Palatine Hill which is typically much quieter. 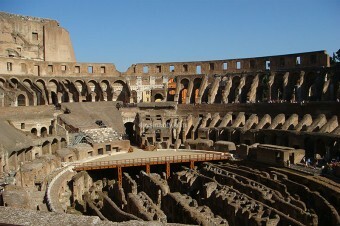 Spend the morning exploring the incredible Roman Colosseum and the old Roman town on Palatine Hill. Circus Maximus is directly next to Palatine Hill, but it’s not much more than an large empty field. In the afternoon, there’s still loads of impressive Roman ruins left to see at the Roman Forum and Trajan’s forum directly opposite. There are also a number of intriguing sights on the walk from there back to the main part of the city, namely Piazza Venezia with the massive Monument to Vittorio Emanuele II, Campidoglio and the Theatre of Marcellus (similar in style to the Colosseum). In the late afternoon or evening, make your way towards Santa Maria in Trastevere and spend the remainder of your night exploring this charming and authentic neighborhood infamous for it’s great nightlife. Follow the Globetrotters itinerary for Days 1 & 2. On your way back to the north west corner of the city, make your first stop the morning market at Campo dei Fiori. 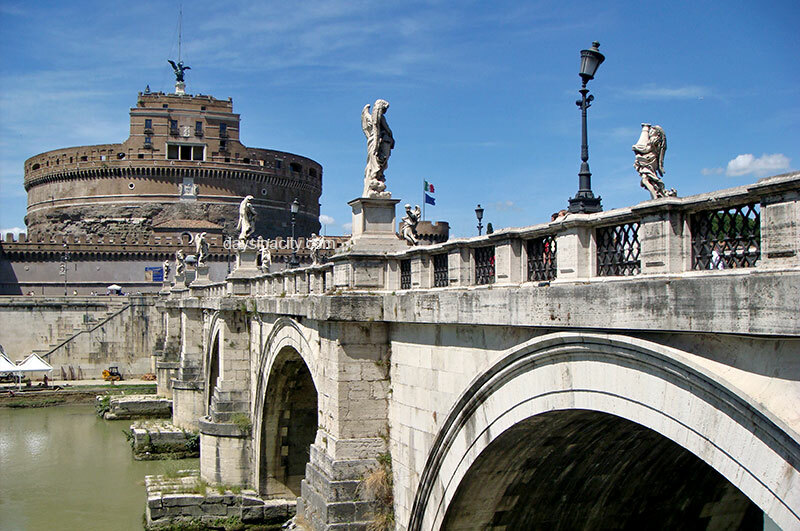 Continue to Castel Sant’Angelo and take an hour or two to explore this massive landmark by the river, take in it’s interesting history and enjoy the views from the top level of the castle. After lunch, head to Piazza del Popolo and take a walk through Villa Borghese, Rome’s largest park/garden which also features the Borghese Gallery and Museum. In the evening return to Piazza Navona or nearby Pantheon and enjoy the nightlife and restaurants that these popular areas offer. Head back to Campidoglio and this time enter the Capitoline Museums. In the afternoon, for a city with so many fascinating and impressive churches, it’s worth taking some time to explore another one or two (perhaps Santa Maria Maggiore, San Clemente, Santa Maria Sopra Minerva, Santa Maria in Aracoeli, and probably the one with the longest name goes to – Santa Maria degli Angeli e dei Martiri). Culture buffs no doubt would enjoy lingering a little longer in Trastevere on this evening. How many days do you think visitors should spend in Rome?